Since the beginning of the military conflict in the Eastern Ukraine, the country’s army is in a need of advanced technologies to combat the growing threat on the part of terrorists. Not surprisingly, the focus on military technologies at large and UAV aircraft in particular has tightened. What’s notable, though, is a lively participation in the development process of volunteers from IT sphere. 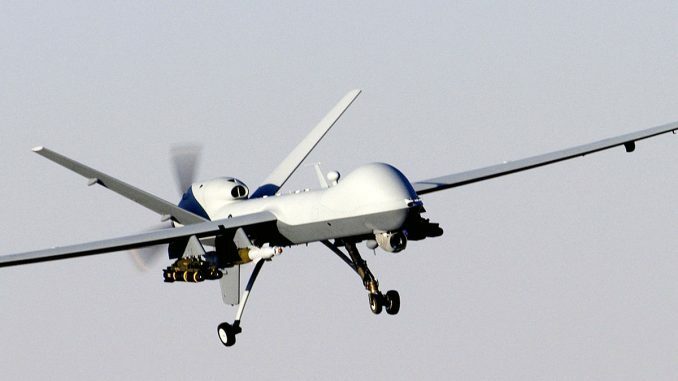 The war, an unofficial Western embargo on the UAV supply and the growing demand for IT solutions that can be deployed by the agricultural sector have stimulated the emergence of a new sector of Ukrainian economy – production of UAVs (unmanned aerial vehicles). Today, there are 11 Ukrainian companies producing UAVs, 9 of which develop military drones. It is estimated that the agricultural sector alone will buy 14,000 drones in the year to come and the market will amount to USD 80 million. Of course, military UAV produced in Ukraine aren’t in the same line with the UAV assembled by global industry leaders such as Israel, US and Canada. However, programs like these require immense planning and financing efforts so the fact that Ukrainian civilian sector launched the initiative on their own is very impressive. One amazing example of volunteers’ joint efforts is a hybrid UAV designed by Matrix-UAV initiative. The success is truly remarkable: Ukrainian volunteers have developed and assembled a hybrid UAV aircraft capable of flying for several hours, covering a distance of hundreds of kilometers and taking dozens of kilograms of cargo on board. The development phase alone cost USD 65,000. To complete the project and prepare the necessary equipment, another USD 200,000 and at least 8 months are required. The device does not contain cheaper elements using only world-class aircraft facilities deployed by NASA. That’s why the price of the device is high enough, although the developers believe its unique features will justify the cost. The drone has already passed a series of tests by the Ukrainian military and is due to undergo the next production stages. Basically, the current UAV market in Ukraine consists of companies targeting either civilian (agricultural) or military needs. But regardless of their niches, both segments promise a very bright future with a prospect of launching new projects and coming up with more innovative solutions.